As winter progresses and more places are starting to see their first snows of the year; people are reveling in the beauty of snow. It won’t take long for the beautiful snow to lose its appeal to many, especially those who have to commute or be in the snow frequently. The downside to all of the snow is that removal becomes more necessary and safety hazards are more significant when the ground is not clear. 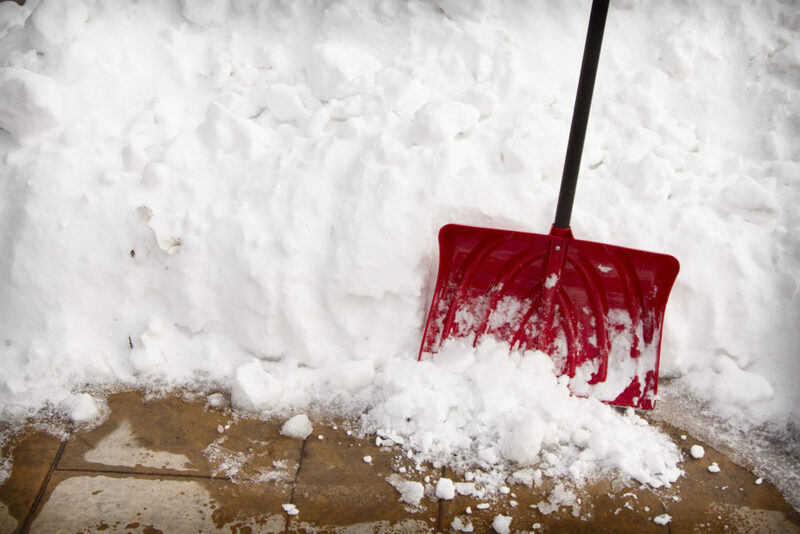 Here are five safety hazards that can result from inadequate snow removal. When people don’t take the time to remove the snow from their vehicles, they run an increased risk of getting into an accident. One of the most common issues with not removing snow from your car before driving it is that compacted snow can break off in chunks, hit the windshield, and cause the driver to swerve. While it is not deliberate inattentive driving, it is still dangerous and causes many wrecks each year. Also, impacted snow from one vehicle can fly off and hit another car, causing an innocent driver to have to avoid swerving and potentially hitting another vehicle. One of the most significant issues with poor snow removal is that people experience slips and falls. For businesses, having someone fall and get injured is a liability and a risk that most places don’t want to take. The same issue exists in people’s houses. Poor snow removal causing a significant fall can be a liability, depending on the person. If there is snow left on a roof and it starts melting, it can crash down on someone and cause them significant injury. The weight of the snow mixed with the speed it is falling can crash on someone with force, which is what makes it so dangerous. If snow and ice stay on roofs for extended periods of time, it can cause structural damage to the roof and the house. The weight of ice and snow may extend what the roof can hold and cause damage over time, including a roof collapse. Snow can weigh a lot, especially when it is mixed with ice. If snow is not removed from electrical lines, power lines and poles can fall over. If a power line falls over, there is a significant risk of electrocution if someone touches a line without realizing it. Another risk of electric outages is that there are plenty of people who do not have a second source of electricity and won’t have access to heat until the electrical outages can be resolved. When temperatures are low, and pipes are covered in ice and snow, water or other liquid inside your pipes can freeze and cause the pipes to burst. If there is a snow storm happening and your pipes burst, there isn’t a lot that can be done until the storms are over, which can be dangerous because it means no access to fresh water. Keeping the walkway to your house as clear of snow as possible, and cleaning off any pipes that have snow on them can help. Also, there are insulated pieces that can go over pipes to help keep them from freezing. When there is a lot of snow, it is almost impossible to see all of the potential hazards and negative consequences that could exist. It is important to remove snow as often as the weather allows it. If snow removal is not possible, professionals can safely and efficiently remove your snow. Whether you have dealt with falling, electrical outages, frozen pipes, impaired vision while driving, or structural damage to your house, it is easy to see why it is important to remove snow from homes and cars as much as possible. Businesses also have a responsibility to their customers and a risk for being sued if someone is injured. It is essential to understand the hazards associated with not removing snow and to then make changes for the better.